There are a lot more types of bingo games than you may realize. Most of us grow up playing either 75-Ball bingo, the traditional North American version of the game, or 90-Ball Bingo, mostly popular in the UK, Australia and all across Europe. If you play online bingo frequently enough, chances are you’ve heard of the newest variation, 80-Ball Bingo (sometimes called Shutter-Board Bingo). Or maybe when you were in school you played social / educational games like Human Bingo, Math Bingo or Science Bingo. The fact is, there are so many ways to play bingo, and each one has its own level of entertainment value, varying only by the type of person playing the game. The oldest known form of bingo, 75-Ball Bingo was discovered in the early 20th century. Originally called “Beano”, the game evolved into “Bingo” very early on when a player accidentally shouted “Bingo!” instead of Beano after completing the required bingo pattern. 75-Ball Bingo is played with a 5×5 bingo card, where players mark off any called numbers that appear on their card. The objective is to cover a specific bingo pattern, as specified before the game began. 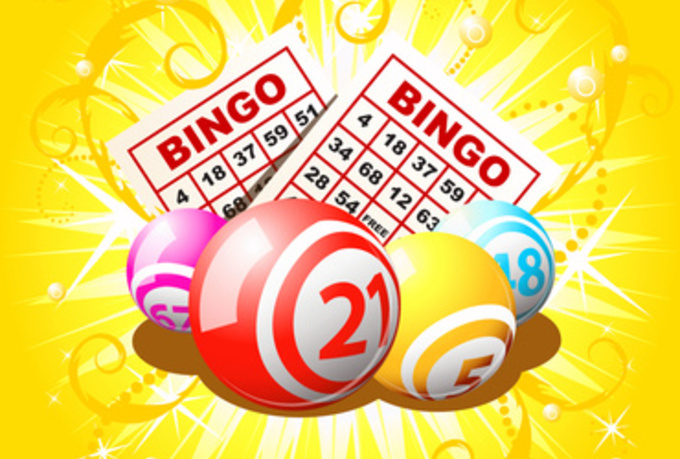 There are more than 300 known bingo patterns, making it a very versatile and respectfully entertaining game. The UK favorite, 90-Ball Bingo uses a different type of bingo card, known as a ticket, with a 3×9 grid of numbers. There are 27 squares, but only 15 numbers on the card, 5 per nine-space row. This version of bingo was designed to reward three winners per game. There are no patterns in 90-Ball Bingo, but instead three ways to win. The first player to mark off a complete 5-number row wins the One Line prize. Covering up two complete 5-number lines awards the Two Line prize. The biggest prize is generally awarded to the first player to mark off all 15 numbers, on all three rows, called the Full House win. Sometimes referred to as Shutterboard Bingo, 80-Ball Bingo is the newest variant, found more in online bingo halls than live bingo parlors. It is played in a very similar fashion as 75-Ball bingo except that the cards offer a 4×4 grid (not 5×5) and all shutter-board must be closed to win. Each shutter-board is closed over a number once it has been called. Of course, in online bingo, there are no real shutter-boards, hence the more common title ’80-Ball Bingo’. This type of bingo games is popularized by schools and sometimes even adult social gatherings. It can be applied to any situation where a considerable number of people are expected to meet for the first time. In schools, it may be each child’s name randomly placed on the human bingo cards to help the children learn who is who. With adults, it is more often events that have occurred in each person’s life. The guests then travel the room to try and find out who did what, marking each description with a name. These types of bingo games were first introduced in Germany as a school teacher discovered that his students were more likely to learn if they had fun doing it. A teacher made up bingo games for his math, science and history classes, and the statistics showed that the game’s success was phenomenal. Make sure you do your math and research into the different bingo offers you can get when signing up to play at an online bingo room. For example, Math Bingo would include the teacher calling out a problem, and the students marking off the solution. If the problem was 4×5, all students would look for a 20 on their bingo cards and mark it off. In Science Bingo, it could be as simple as terms from the periodic table of elements. The question might be something like “What is the symbol for Helium?”; with the answer being “He”. History Bingo would work much in the same way. If the children are learning the order of US Presidents, and the teacher calls out “George Washington”, the answer is “1”. There could even be trick questions, like Grover Cleveland, where the students could mark off both numbers “22” and “24” (as he was the 22nd and 24th president of the United States). It’s no wonder there are so many millions of people who love to play bingo when there are so many types of bingo games one can play, and we often start at a very young age. Bingo is the most beloved game of all time among all age groups and genders. The introduction of online bingo only proved to further increase the popularity of all types of bingo games. Consider this for a moment – bingo is the number one pastime activity in the U.K., generating more revenue than all sporting events in the region; billions of dollars. Now spread that across the entire world in the form of online bingo and you can just imagine how much is being spent, and won, in different types of online bingo games every day.